A few days now, articles about the fierce prosecution of the homosexuals in Chechnya are all over the internet. As the independent Russian newspaper Novoya Gazeta states, homosexuals are being prosecuted, arrested and imprisoned. There have been denounced tortures and murders, as well as the existence of a concentration camp for homosexuals. Unfortunately, we cannot confirm all these facts, because the government of Chechenya does not recognize these denunciations, with press representative declaring that “People who do not exist in the country cannot be prosecuted”, denying every right to the existence of people from the LGBTQI+ community. 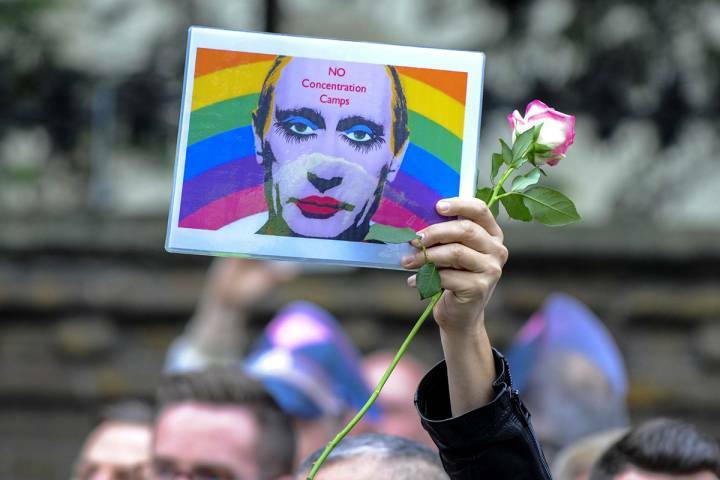 No one should ignore the Russian federal law, which prohibits homosexuality. Activists and representatives from the LGBTQI+ Community in Russia are trying to inform the media and the public about the situation and help the victims, which have started to flee the country. The representative from the Amnesty International in Russia, Alexander Artemev, stated that homosexuals in Chechnya are being constantly and daily prosecuted and are afraid to talk. I cannot help but ask myself: How can these things happen nowadays? How is it possible for these incidents to exist in 2017? After all these years of fights and campaigns raising awareness by the LGBTQI+ community, after the laws voted favoring human rights? We shall not forget that we are talking about humans, about daughters and sons, friends, neighbors, colleagues and other people in our lives. People who fight day by day for the right to be themselves, to make their choices, to live on equal terms, like you and me. People who fight for the obvious. How and why did diversity, expressed in every way, become an object of prosecution? Why are we moving backwards instead of moving forward? How can we say that youth is the future, when at the same time we deprive them of that right? Discriminations have long been criticized. However, they still happen every day and we see them clearly in the migrant who is being insulted, in the refugee who is excluded from society, in the homosexual who dares to kiss the person he/she loves and hold his hand in public, in a person who dares to be himself. The only thing left to do is to watch the governments’ reaction from all around the world about what is happening in Chechnya. I will not comment any further, there are no words to describe this situation. And even if there were, nobody would hear them from me. But what if they came by a leader’s voice?